SUNDAY, DECEMBER 9th, 7:30 pm - Free Entry ! 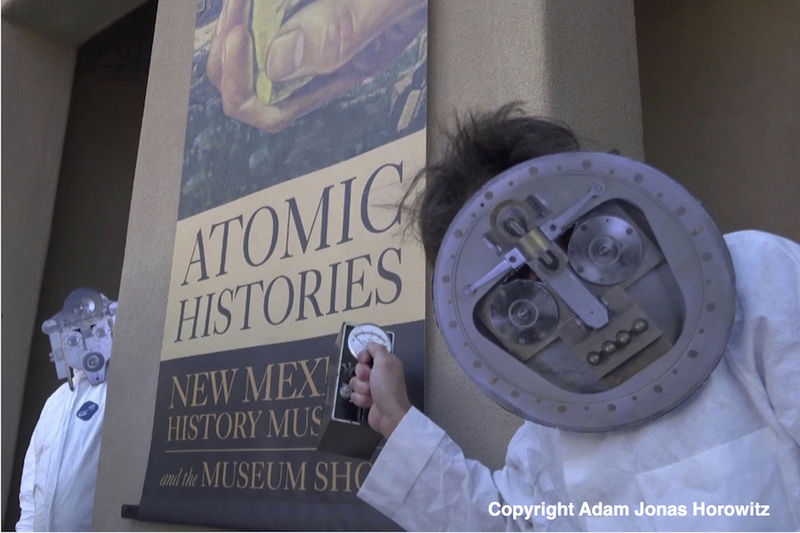 Adam Jonas Horowitz, the award winning director & producer of „Nuclear Savage: The Islands of Secret Project 4.1“ presents December 9th his new film series „ATOMIC GODS: Creation Myths of the Bomb“ in the Jean Cocteau Cinema in Santa Fe. Together with Adam Jonas Horowitz the International Film Festival in Santa Fe presents the filmmakers and producers Miguel Silveira and Jay Minton and their films „Devil’s Work“ and „Yellow Fever“. USA, 2018, Director Adam Jonas Horowitz, Exclusive sneak preview of the first Episode, 30 min. Following Q&A with the filmmakers & producers Adam Jonas Horowitz, Miguel Silveira and Jay Minton.